Jaden Beckles’ fourth quarter interception setup Calvert Hall’s clinching touchdown drive. Jaden Beckles had a huge interception and return with just under nine minutes left in the game to setup a crucial touchdown – Sean Tucker’s second of the game – carrying No. 5 Calvert Hall College to a 21-7 upset of second-ranked Archbishop Spalding at Mike Whittles Field in Severn Friday night. 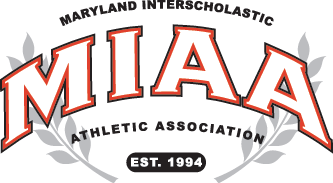 The two MIAA A Conference powers came in ranked in the Maryland State High School Football Top 10 (Spalding at No. 5 and Calvert Hall at No. 7). The Cardinals’ victory spoiled the Cavaliers’ Homecoming and snapped their three-game winning streak over the Hall, lifting the latter’s overall record to 7-1 and dropping the Cavs to 3-2. Beckles’ big pick came on a deep pass from Spalding’s sophomore quarterback Austin Tutas. The 5-foot-8 junior defensive back out-raced the Cavaliers’ Chris Clark, who had 11 receptions for 100 yards on the night, to the ball. Beckles caught the ball in full stride and swiveled up field some 30 yards to give the Hall a first down at the Spalding 46. Four plays later, Tucker, who ran for over 100 yards in the game, found pay dirt, from the 14, for the decisive score. “I’m alive now, but I was dead after the run,” said Beckles, who has made a habit of making big plays in the clutch. Beckles and junior linebacker Jarrell Mayo had Clark covered well on the play on their double- team. According to his coach, Donald Davis, Beckles has been making big plays all season and the coach believes the junior will play at the next level. Davis also cited his overall defense that limited the Spalding offense to just 53 yards rushing (1.6 per carry) and a total offense of 260 yards, 207 passing. Davis credited his defensive coordinator Frank Curreri and his four defensive assistants in Vernon Southwick, Bill Mojica, Andrew Kibler and Eli Troxell for their schemes that a very good offensive team in the Cavaliers. While the Calvert Hall defense was creating a lot of problems for Spalding’s offense, their own offense rolled up 302 yards of total offense, 89 passing and 213 rushing. Tucker had 109 of those rushing yards displaying his shifty moves and his 5-foot-10, 190-pound strength. Spalding however, did get some outstanding defense of its own from senior DB/QB Jayden Umbarger who led his team with 7 solo tackles and junior LB Jalin Justice followed with six solo takedowns. Five tackles each came from sophomore DB Quinton Young, and senior DBs Logic Hudgens and Sean Spencer. Calvert Hall took a 7-0 lead to halftime on Tucker’s first score, a 1-yard dive. Spalding tied it, at 7-7, on a Tutas to Zakee Wheatley 18-yard scoring toss with 4:25 left in the third period.